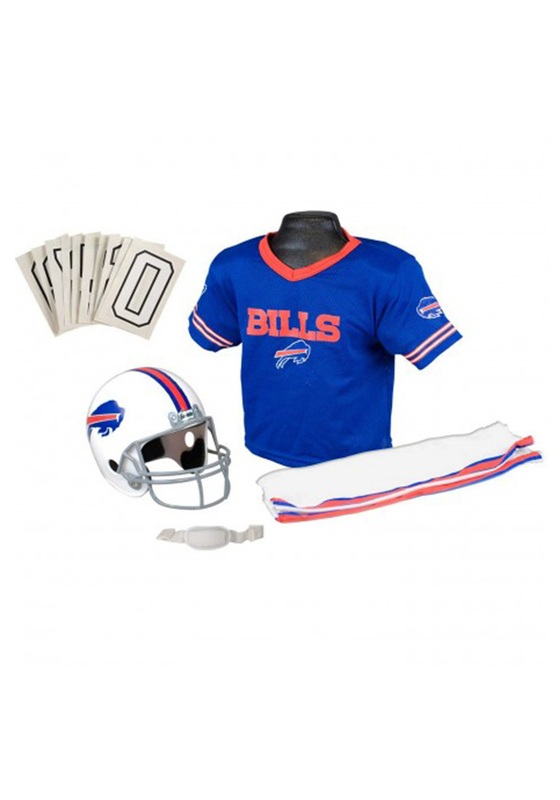 Score a touchdown with this Buffalo Bills Football Uniform! 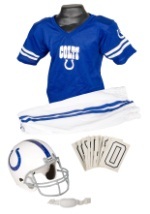 This licensed NFL kid's costume includes a team helmet with chin strap, a team jersey with attached shoulder pads, football pants, iron-on jersey numbers (0-9), and adhesive helmet numbers (0-9). 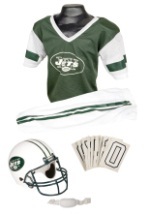 The jersey is made of 100 percent polyester and is blue with the "Bills" logo in the center. The sleeves have blue stripes printed on them. 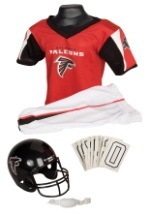 The collar of the jersey is a red v-neck. 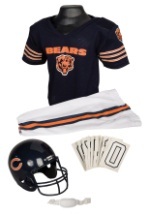 The back of the jersey is blank to allow space for the iron-on numbers. Instructions for how to apply the numbers to the jersey are included. 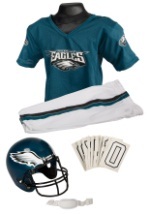 The polyester pants have an elastic waist band and are white with red and blue stripes down the side. The helmet is white with the "Bills" logo on each side, and a red and blue stripe runs down the center of the helmet. 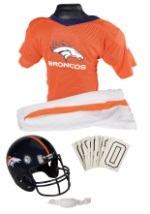 Foam pieces are attached to the inside of the helmet to provide a comfortable fit. 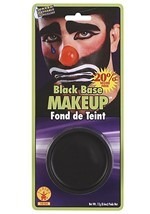 The chin strap is white and adjustable. Be the rookie on the Buffalo Bills that takes the team all the way to the Superbowl!